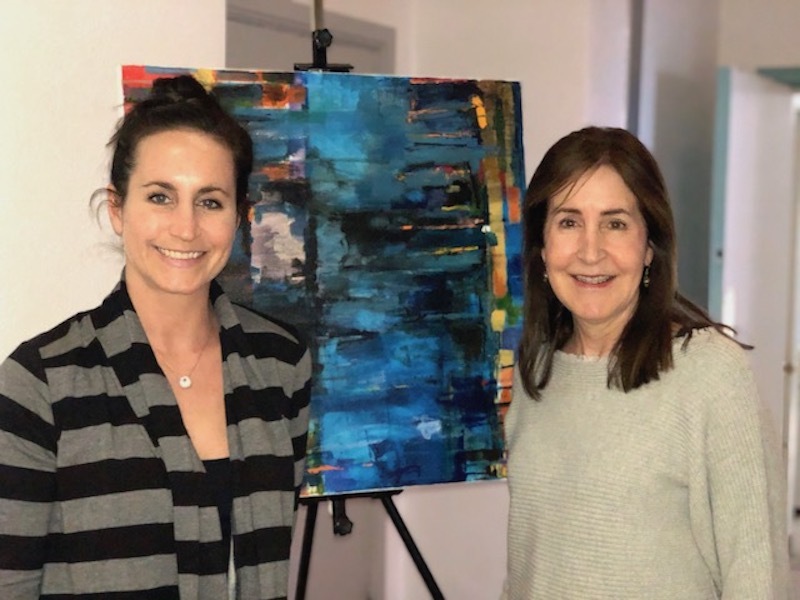 Wendy Coleman and daughter Samantha Cerminaro in front of one of Coleman’s paintings at the arts center she founded. A new arts center with Main Line roots has just flowered in Norristown. And oh, what a beautiful blossom it is. The backstory alone is breathtaking. Community Arts Norristown (CAN) was created by Berwyn mom/artist Wendy Coleman and the nonprofit she founded in loving memory of her daughter, Gabrielle S. Cerminaro, Conestoga ’09. An artist, just like mom. CAN is housed on the lower-level of a circa-1905 Lutheran church. In the last month, it’s been overhauled by friends of the Gabrielle S. Cerminaro Arts Scholarship and sponsors like Haverford Trust, Mannington and DOW. 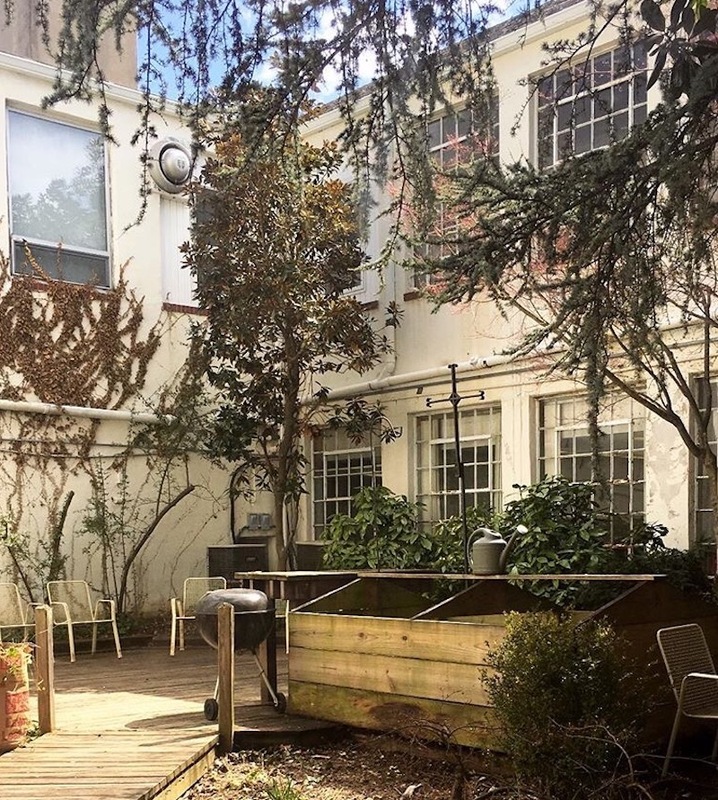 CAN plans to hold organic gardening classes in the courtyard. Even the CAN logo shows Gabrielle’s guiding hand. Her mom so cherished her daughter’s penmanship that she had a “Gabby” font created, gratis, by the Delaware design house, House Industries. CAN spans more than 5,500 sq. ft. in 14 rooms, plus a charming 1,300 sq. ft. courtyard. 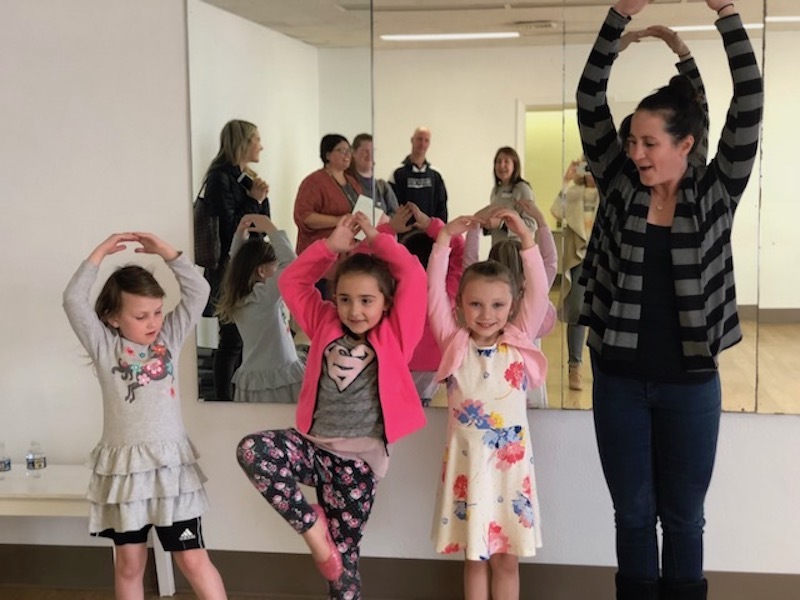 Along with after-school and camp programs, CAN classes include painting, pottery, yoga, ballet, hip-hop, cotillion dance, music, organic gardening and cooking. On Coleman’s vision board: a choir and mural arts program. Yoga teacher Sam Cerminaro models tree pose at CAN’s Open House last Sunday. Teachers are top-shelf; PA Academy of the Fine Arts, Tyler School of Art and the Univ. of the Arts are all represented. CAN serves local youth and adults of all ages. Coleman hopes Main Line friends will mosey on over to take classes, too. “Norristown is a community so close to us but in need of the things we take for granted,” Coleman says. Her message to budding artists everywhere: Yes, you CAN. Community Arts Norristown, 506 Haws Ave., 610-272-1545, welcomes donations, volunteers, and students of all ages. Gabrielle S. Cerminaro Arts Scholarship supports CAN, donates art supplies, and awards art class and camp scholarships. Wendy Wolfinger Coleman is an award-winning oil painter. She donates 25 percent of her art sales to the Gabrielle S. Cerminaro Arts Scholarship.